Made of lightweight cedar wood, these blocks have triangular shape allowing the user to create light, unique constructions. Design by Japanese architect Kengo Kuma. Designed by Carlos Ng for Areaware, these wooden magnetic building blocks are inspired by an architect’s drafting kit. The colorful pieces form a triangle, protractor and ruler with units in metric and imperial. Consisting of 28 wooden cubes, this block set features Arne Jacobsen‘s typography. It’s produced by Danish company Design Letters. This Modern Bunny Stacking Toy by Petit Collage delivers both design and delight. It’s made from sustainably harvested wood with water-based screen-printed accents, nontoxic water-based varnish, and wool felt ears. Policosmos Families is a series of eight simple toys defined by the outlines of animal shapes. Made of high-quality fabric, they’re suitable for children of all ages. 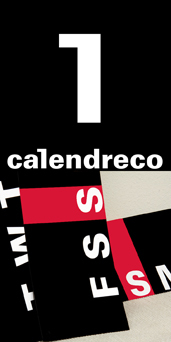 Design by Elenonora Castellarin and Moisés Hernández. Anna Swing Boat is a multifunctional piece of kids furniture designed to stay beautiful and suitable at any age. Made of birch plywood, it’s a stylish sitting area that can be easily transformed into a step stool, stage, shop or kitchen when placed upside down. Design by Arthur and Friends.